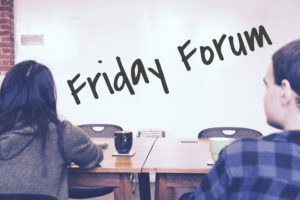 Friday Forum - Take a Sick Day to Start Your Job Search? - Need a New Gig? Friday Forum – Take a Sick Day to Start Your Job Search? Welcome to the Friday Forum! Every Friday, we take a question submitted by one of our users and have our professionals field it and provide advice. We then encourage members of the Need a New Gig community to comment below and give their take! Sometimes mental health days can be rewarding on many levels. Chances are, that if you are looking for a new job you are already stressed and may be in need of a day off. I’ve talked to many candidates who are eager to find a new position, but they cannot carve out the time to get their resume together and search/network for a new position. Should I Take a Mental Health Day? The short answer is yes. While you may feel guilty calling off sick to start your job search, your body and mind may need a break. Even if you are not in in bed with a fever, a mental health day could help clear your mind and reset your emotions. Plus, even though many people notoriously abuse taking sick days, you should feel better knowing that you are going to be using your time productively by looking for a better position. The most important thing to remember when it comes to considering a mental health day is to make sure that you have adequate and available time off. One thing that people often forget is that interviews usually happen during the day. Employers are typically in the office at the same time we are, so if they want to schedule an interview, you will need to take off work to meet with them. If you use all of your sick/vacation time searching for your job, you may not be able to take time off to interview. Also, some employers will have 2-3 interviews prior to extending an offer. You have to be careful, as it can raise a red flag if you are consistently calling in sick and taking vacation days more often than normal. Remember that it is always better to look for a job when you have one. With that being said, be smart! If you have the time to take a day and work on your job search, then do it! Take the day, reset, and look for greener pastures. If you are low on sick/vacation time, you may have to save those days for in-person interviews. If you are in a battle with yourself trying to decide if you should take the day off, it is a good idea to look at the benefits. Aside from being able to craft your resume and start your search, there are other benefits that may help in the interim. Research shows that work is one of the leading causes of stress. If you are burned out and exhausted, a mental health day could be the perfect reset for you and your mind. Give yourself a break, and you will be surprised at your production when you return. By giving your brain a chance to breathe and forget about work, it will help you in the long run. Coming back to work after a unplanned day off can be a boost in both production and creativity. Sometimes we get caught up in the craziness of life and forget about the simple things, like sleep. People who are stressed, or have a lot on their mind are already not sleeping as good as they should. While research shows that you can never “catch up” on sleep, and we don’t recommend sleeping your day away, there is nothing wrong with getting some needed rest. This is where the job search comes in. Now is the time to do it. If you decide to take a sick day to work on your job search, it is important to be serious about it. You don’t want to binge on Netflix until the wee hours of the morning, then sleep in and waste the day. If you don’t have a plan, you will end up wasting your time off and make no progress in your search. Tackle your job search first thing in the morning. If you called in sick, you may have the house to yourself and you should take full advantage of it. Use the quiet atmosphere to dial in and concentrate on the task at hand. Set up your day and list what you need to get done. This may be crafting your resume, searching job boards, applying to positions, networking, etc. I recommend starting with your resume, as this can be a timely part of the process. If you have an old resume, dive in and start making updates. If you are starting fresh, use our EZ Resume Kit to help expedite the process. Once your resume is created, you can start browsing job boards, applying to positions, and deciding if you want to post your resume online. Our Ultimate Guide to Finding Your Next Job With Indeed is a great place to start, as it will help show you how to search and apply for positions. It will also walk you through posting your resume, should you choose to do so. Finally, don’t forget to network. Networking is one of the best ways to look for a new position. I recommend LinkedIn, as it is one of the easiest and best ways to network. if you are not on LinkedIn or haven’t used it in awhile, check out some of our LinkedIn resources below. For some additional tips on networking, please check out the article from our sister site, The Resilient Recruiter: What is Networking and How Can it Help Me Find a Job? While you may fight with yourself when it comes to deciding if you should take the day off, I recommend doing it if you can. Crank out your job search first thing in the morning, and then you will have the entire afternoon to enjoy some of the other benefits of a mental health day. This entry was posted in Friday Forum and tagged Job Search, job seeker, Mental Health Day, Sick Day. Bookmark the permalink. ← Friday Forum – Flexibility or Higher Salary?